Life can get pretty hectic. As moms we need to be able to figure out how to carve out more time for ourselves and the people and things we love. You know how the saying goes, you need to be able to fill your own cup first before you can properly care for others and fill their cup too. Our kids also benefit from having a present and happy mom, rather than an exhausted, sleep deprived and grumpy one. But we all have our days, weeks and times where we go into survival mode and we don’t always feel our best. Sometimes we’re just going through the daily routines and we don’t have enough quality time to spend with our loved ones and ourselves. Whether you want to schedule space for more self-care, more time to play with your kids and/or time to spend on projects you’re passionate about, you’ll find this post helpful. Also, if you haven’t already, be sure to check out 9 Productivity Tips for Busy Moms. There actually are ways you can dramatically improve how much you get done and how you feel, even with a short period of time to work with. It requires planning and the right systems and strategies in place, plus a really helpful item that can jump-start your productivity, which I’m going to share with you below. Like most new moms, when I first had my daughter, I experienced sleepless nights and a day to day schedule that was not very organized. I always wondered how other people were so productive, when it seemed I barely had time to even shower. Without a nanny, caregiver or parents living nearby, over the next months and years I decided to learn more about ways to save more time and came upon a lot of helpful strategies, some of which I found were easy to implement and others which required practice and repetition. However, I also noticed that of all the information out there, not as much was tailored to moms taking care of kids and a family. There are a ton of ways to save more time and be more organized and have an ultra productive day, which are easy to put in place when you don’t have kids. But when you do, they don’t always work and you have to be more flexible with your schedule. 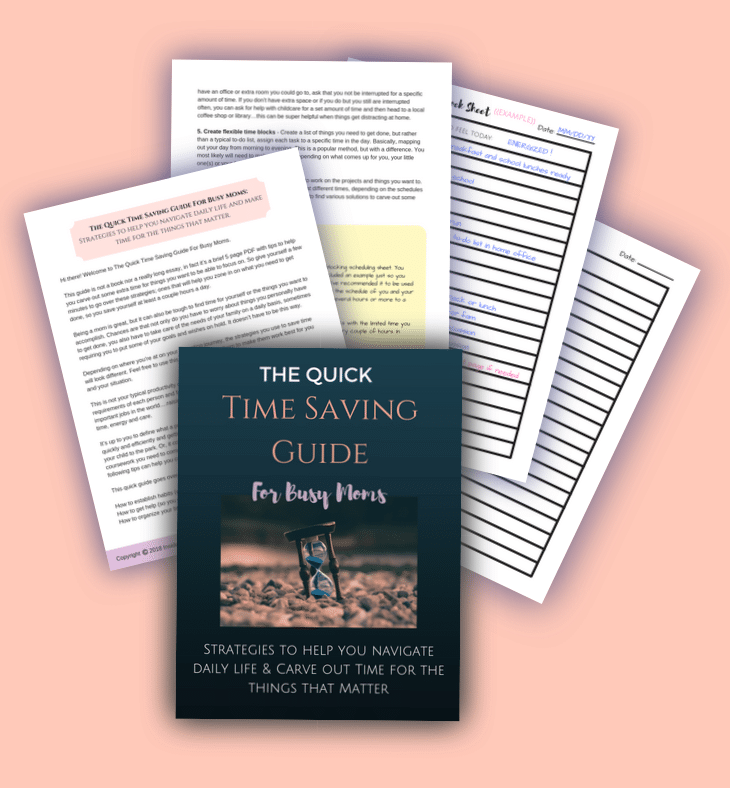 Plus, the BEST part about it is it also has a To-Do List Time Block Sheet you can print out which can make a huge difference in how much you get done and how much time you save. It’s one you can print out for any day you need it. It’s not just a time blocking sheet, it contains a To Do list and an area to include your top priorities as well as a section where you can set your intention for how you want to feel that day. If anything, this one sheet alone is worth keeping. Finding extra time in the day is not an easy task when you’re a parent, but with the proper planning and implementation, it can help you steadily move forward and create more space for what matters to you. 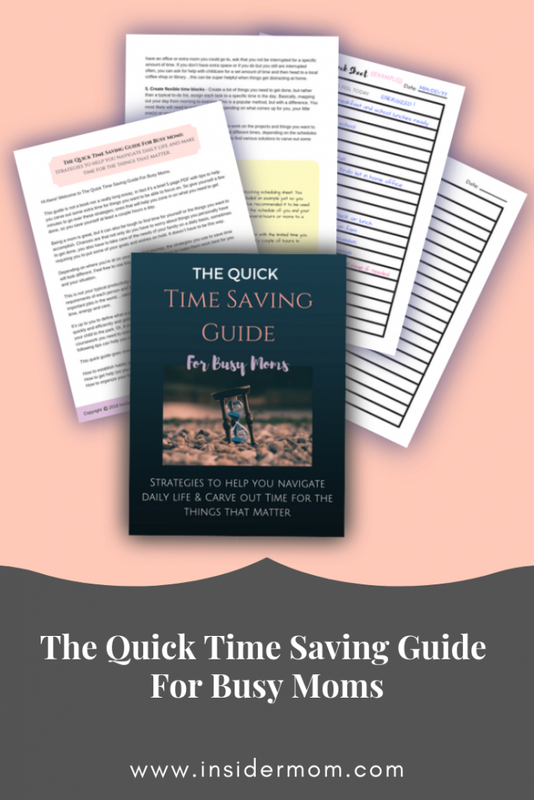 Whether it’s having more time for your kids, projects that matter to you and/or self-care, you’ll find this a really helpful printable that will make a difference. Yes! I want this guide.